Super Eagles coach, Salisu Yusuf has been handed a one-year ban by the Ethics committee of the Nigeria Football Federation (NFF) and was fined $5,000 following bribery allegations after he was filmed receiving a $1,000 bribe in September 2017 by undercover Ghanaian journalist Anas Aremayaw to select players for the upcoming Africa Nations CHAN tournament. After the video was released to BBC African Eye, it caused great rancour in Nigerian football, but Yusuf seemed unremorseful and adamant about his decision to take the cash gift. 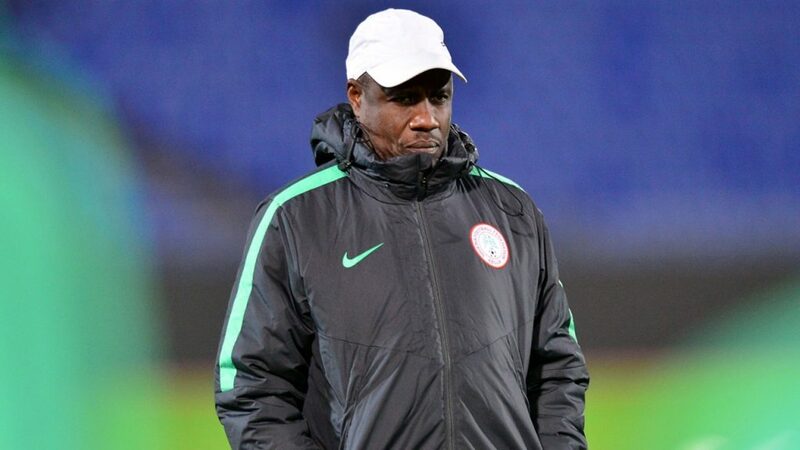 Yusuf felt he did nothing genuinely wrong and was confident he will be backed by the NFF. News flash, and rather surprisingly, the NFF committee brought Yusuf back to earth with this well-deserved fine for breaking FIFA’s Code of Conduct and NFF ethics for coaches with a year’s ban. I might argue that the ban should have been for life – well maybe that will be going too far. Salisu Yusuf will be left red-faced and will feel slightly unfortunate by the circumstances at which he has been suspended. My gut feeling is that the NFF had to appear strong after the recent turmoil that has bedevilled the Federation or perhaps Amaju Pinnick felt it right to do good by FIFA for supporting him throughout the power tussle for the Federation’s Chairmanship. Either way, Yusuf was an easy target for a Federation trying to restore public confidence.